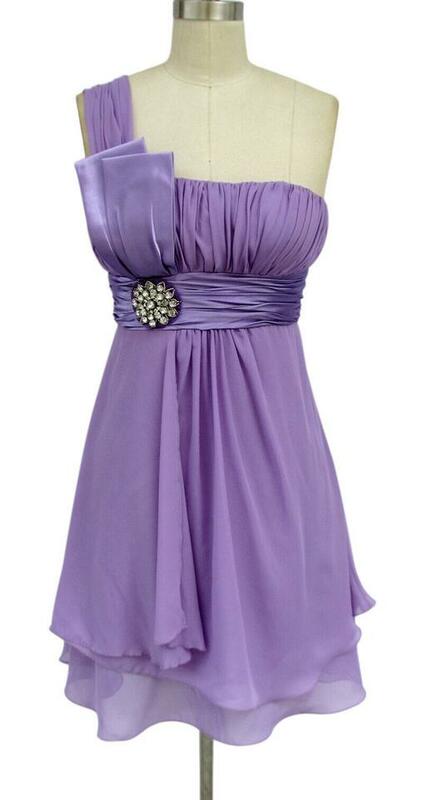 One Shoulder Chiffon Dress w/ Rhinestones Ornament. 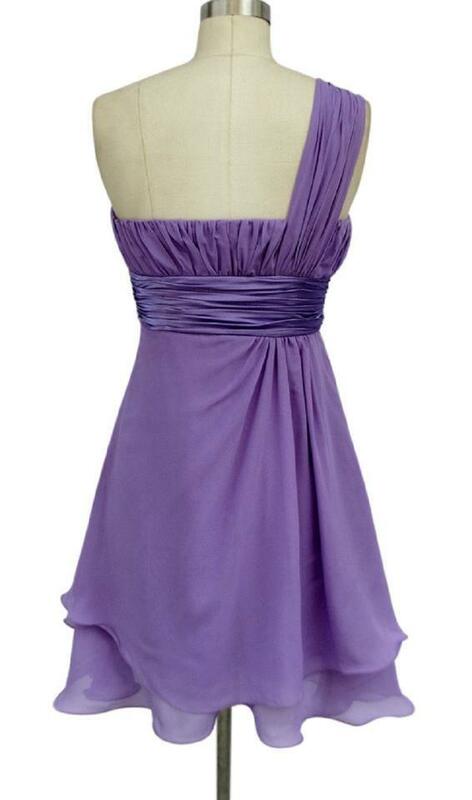 COLOR: Lavender Purple; TAG SIZE: XL; MEASUREMENTS: bust 38-40 inches, waist 32 inches, hip 44 inches, length (armpit to hem) 28 inches. ** I can also have this dress style made in other measurements and other colors if you are interested - just ask :) Thanks for looking!